Blooms Landcare is known for our experienced and knowledgeable Coppell landscapers. We have been serving the West Fort Worth area with exceptional landscaping and unbeatable customer service since 2006. Our degreed professionals are well versed in all aspects of landscaping services, plant placement, and general grounds care. This includes our innovative landscape design, efficient installation, and dependable maintenance options. Our Coppell landscapers have established a great reputation in the community. Let us show you why! Affordable Landscaping You Can Count On! It is hard to find a landscaping company that you can trust. We strive to exceed all our customer’s expectations when it comes to landscaping service in Coppell. We offer many different services and packages that can fit any budget. Aside from our general landscaping and installation, we offer many different decorative services like outdoor lighting, outdoor living design, and decorative pots. From basic landscape maintenance to a complete outdoor transformation, we can make it happen in record time. 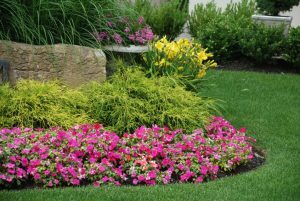 Count on Blooms Landcare today for your landscaping service in Coppell! Coppell, TX is a town split between Dallas County and Denton County. It has a population of roughly 39,750, based on 2010 estimates. Coppell’s local economy thrives each year with the help of its proximity to the Dallas/Fort Worth International Airport. It is a great place to work, play, and raise a family. Blooms Landcare is happy to be part of the Coppell community and to continue to contribute to its beautiful landscaping. If you are interested in landscaping service in Coppell, contact Blooms Landcare today. Dial (817) 688-5352 and we can give you a free landscaping quote.